Christmas just isn't the same without a Christmas tree and neither are Christmas dog harnesses. These perfectly beautiful Swirly Christmas Tree soft mesh dog harnesses are designed to fit comfortably on your dog and offer you total control while out and about. Available in multiple vibrant colors. Celebrate Christmas with your pets in style this year. 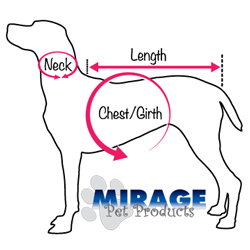 Get a Mirage Swirly Christmas Tree soft mesh dog harness now! 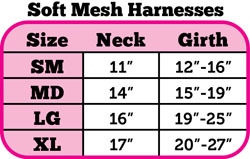 SM: Neck 11" | Girth 12"-16"
MD: Neck 14" | Girth 15"-19"
LG: Neck 16" | Girth 19"-25"
XL: Neck 17" | Girth 20"-27"